Aladdin has hit the stage and the headlines in the past weeks with the News of NIGEL OWENS in the role of the Genie and now as the show officially opened last night… here is an overview of the Opening Performance and Press Night. 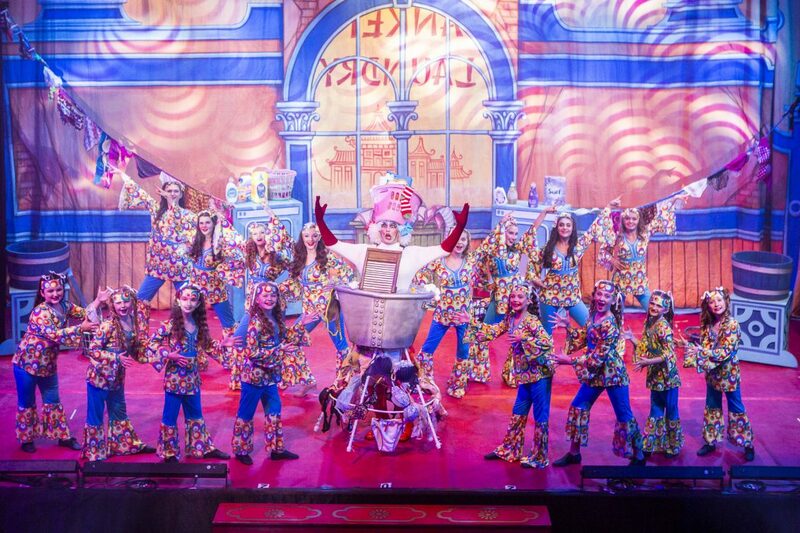 REVIEW: A TRULY GENIE-US PANTOMIME!! 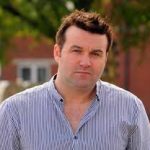 “The tradition of Pantomime is reinvented this December as local events and Theatre company Jermin Productions take on the magical tale of Aladdin and deliver their production to Port Talbot, Carmarthen and Llanelli Theatres to treat South Wales audiences to a family Pantomime spectacular! … And fill them they did! This year’s clever adaptation is bursting at the seams with glitter, gags and glamour and audience members of all ages are granted their pantomime wishes by the carpet load in this sizzling production. The story flies through Peking with ease from its incredibly witty script and cast including the charismatic and popular Welsh man Gareth Thomas as hero Aladdin who showcases his voice beautifully throughout the Production. Mark and Nia Jermin, (the brother and sister team behind this Production who write, direct and choreograph the annual productions) refreshingly put their own unique stamp on this year’s Pantomime: a riotous mix of comedy, choreography and special effects supported by a script bursting with belly laughing innuendos. Audience participation is key to this year’s plot and everyone has the opportunity to get involved… particularly the great sport “Richard” “The man in the front row” who was picked on during last night’s performance! Whilst Aladdin features the classic love story, a good versus evil plot, the antics and modern references are a plenty, aided with hilarious sketches about 21stcentury life including apps like Deliveroo and recent Jungle hilarities from this year’s “I’m a Celebrity” cast. Modern songs from Lady Gaga’s “A Star is Born” and Shotgun by George Ezra all keep this Panto bang on the pulse for its up to date audience. We are first greeted by the evil Abanazar the Villain we love to hate played by the terrifying Ben Hamer, who blends astute comic timing with Simon Cowell inspired overtonesas he gets the Spirit of the Ring (X Factor’s Kayleigh Marie Morgan) to help him seek out a magical lamp to release its Genie who for sporting fans will be pleased to hear that this aptly named NI-GENIE is voiced by the incredibly talented MBE Nigel Owens. The comedy patter comes thick and fast as we launder through to Widow Twankey’s launderette impressively led by washing tub wearing Marc Skone and the lovable comedy crown wearing Adam Byard in the un traditional role of JJ as Aladdin’s brother. Adam’s energy is like on stage dynamite with his relentless “Way hey its JJ” shout outs and he really has the audience in the palm of his hand just like his mini puppet companion Junior J who is a firm favourite of my 7 year old! A whirlwind romance was in the air for Aladdin as he meets the girl of his dreams in the form of actress Elin Pavli Hinde who gives song and sass as Princess Jasmine. Her vocals are strong and Thomas and the attractive and talented pair have a beautiful on stage chemistry particularly evident in their rendition of David Guetta’s Without You. You would think that Jermin Productions may not be able to compete with larger neighbouring Pantos, but this year’s Aladdin has hugely impressive Production values including regular fire jets throughout, a real flying carpet and a stunning colourful Act 1 finale. Added to that are lavish costumes, musical accompaniment led by Sioned Evans and an ultra-talented triple threat cast who have bags of infectious charm as they show case their skills in song and dance and lead us through the story. A special mention to the young performers who also take part in the show. Their drilled choreography was spontaneous and sharp and made lovely additions in the Mamma Mia sequence at the top of Act Two.